We so often see people who are stuck in low level positions within their organisation, not because they don’t have what it takes to move up within the company, but because there isn’t sufficient training in place for them to grow. Continuous training brings about a significant increase in employee performance, which directly impacts productivity and profitability. Kirsty Chadwick, Founder & Chair of the e-learning design and development company, The Training Room Online, told us the advent of e-learning brought about many changes to how we learn, and also the outcome of the learning process. She says e-learning is designed to be simple and easy to understand, while also engaging and specifically structured to suit the target audience. It makes the process of gaining and retaining new knowledge as fast, effective and enjoyable as possible. "Companies often hesitate to send their employees on training courses because of the time that they would inevitably have to spend away from the office, as well as the costly overheads that would be incurred. Unlike traditional training programmes which may require the deployment of trainers, e-learning allows employees access to course material no matter where they are based geographically. 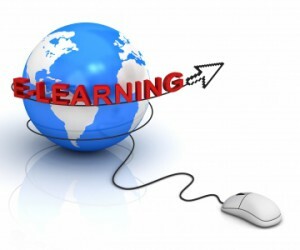 "E-learning significantly reduces the cost of training because there is no trainer, accommodation or travel necessary. In fact, this form of learning ensures that employees aren’t away from the office at all - they can be assigned a designated area on the premises where they will have the silence and privacy needed in order to absorb the valuable information and knowledge that these courses provide. Making use of gamification mechanics can also help to overcome language barriers or learning problems faced by those with lower literacy because concepts can be graphically presented to replace paragraphs of difficult text. Moving images can be used to guide the learner visually and dynamically through concepts or to virtually display how something works and moves," says Chadwick. The nature of e-learning, with its visual and auditory components, as well as its individual feedback tools also significantly reduces the time that it takes to train employees. In a typical classroom-based training setup, the instructor can only proceed with the course once the slowest student has caught up. “Often the fear of being left behind can cause the learner to move ahead with the rest of the class without asking questions, when in fact they haven’t grasped an understanding of what is being taught. 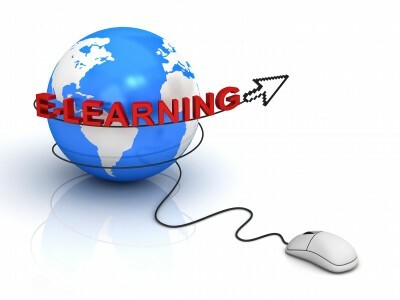 E-learning eliminates this problem altogether by allowing the learner to access the information as it is needed, at the pace that they are comfortable with. E-learning also helps to empower learners and prevent information-overload, as well as promoting retention of information,” says Chadwick. Training and developing people is about putting the right tools in the right hands, and courseware needs to be delivered in the way that will help learners absorb and understand it best. E-learning has the potential to solve many of the problems that face learning today, with the right approach and a solid support structure, there is no telling how far it can take us.